Most people have a hard enough time doing their own makeup, but if you're one of the gifted few that can look at anyone's face and see the potential beauty hidden there, just waiting to be brought out with a wave of your magic wand (or brush), perhaps you should think about becoming a makeup artist. You might be surprised to find that there's more to it than making up brides for their special day; there are actually several avenues to explore when it comes to this artistry of appearance. 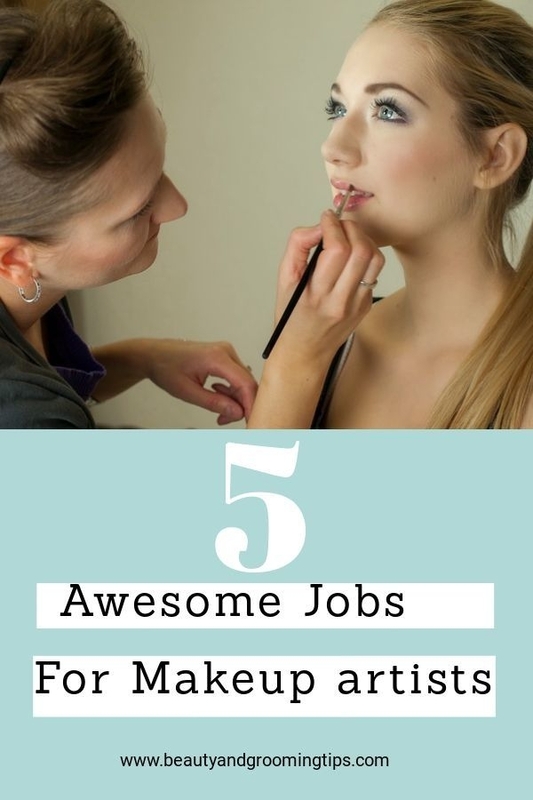 Here are just a few potential jobs you could tackle when you become a licensed makeup artist. You might not be terribly keen to start your illustrious career by slinging shellac at your local department store. But put the brakes on that negative line of thinking for a moment. Many notable makeup artists started behind a counter, including household names in beauty like Bobbi Brown (founder and CEO of Bobbi Brown Cosmetics) and Kevyn Aucoin (arguably the most famous makeup artist in the fashion industry to date). Although it doesn't pay much, this type of job can give you plenty of experience painting faces, familiarize you with products, and help you to build up your own makeup collection (at a discount) in order to start freelancing in other fields. Many spas and salons hire aestheticians for the added value they bring to the business. If you work at a high-end establishment you can earn a healthy living giving skin treatments and makeovers to brides, prom attendees, beauty queens, and any other woman (or man) who wants to look perfect for a special event. And of course, a prestigious clientele (or the sheer number of people coming through) could eventually lead to bigger and better things. Have you ever seen a runway show or photography shoot that didn't include makeup? Even models and actresses with flawless skin still need a little color and gloss here and there. This means that every magazine spread and fashion show needs someone with your skills to help the models look their best. So get yourself and agent and start booking events. Hollywood stars are thought to be glamorous for their charismatic personalities and larger-than-life personas. But it usually takes a team of stylists to create the polished performers the public sees on the big screen and the red carpet. You could be doing a new and exciting job every day when you work as a makeup artist in the film industry (although some days will finding you affixing a hundred pairs of false lashes and running around with an armful of powder puffs every time the director yells "Cut!"). The mystery is half the fun. No, it's not spelled wrong, as anyone in theatre can tell you (a theater is a building, whereas "theatre" is an art!). And for any makeup artist in New York City, this is the ideal industry to work in. It can offer not only steady work, as there are always shows in production on the Great White Way, but once you get in good with some major players you should be able to follow them to subsequent shows for future jobs. Of course, it's not at all that easy to break into this rather insular industry, but once you do you'll have the opportunity to get creative with face paint, scars, and even prosthetics, a challenging benefit that not every job can offer.